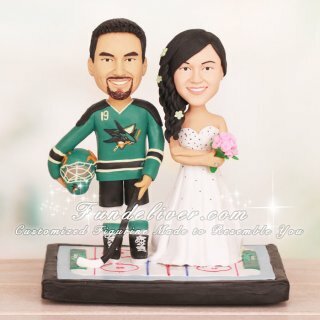 This is a completely customized San Jose Sharks hockey wedding cake topper ordered by one of our customers. The groom is a huge San Jose Sharks fan. 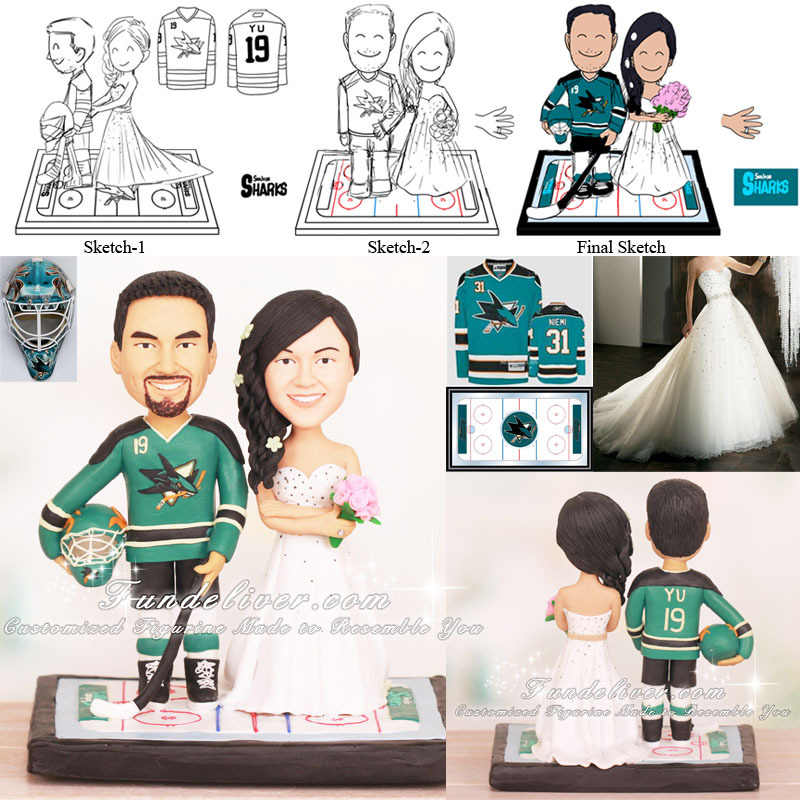 They would like the couple to be standing on a San Jose Sharks rink base and the groom to be in San Jose goalie outfits including Sharks jersey, goalie mask, and a hockey stick. In their original idea they would like the bride to be tug on the groom’s jersey to not let him go, as he is ready to go out and play a game. But after checking the first sketch, they changed their mind to have the couple figurines to be standing side by side, facing forward with the bride crossing her arms, holding a bouquet of flowers (pointed upwards), with her engagement ring on her left ring finger. This Sharks cake topper will be a perfect choice for San Jose Sharks fanatic.